Who would’ve thought that Barbara Cowsill’s little girl would grow up to become a Psycho Sister. But so it is for Susan Cowsill of the famous pop singing family of the 1960’s. Vicki Peterson, a founding and current member of the Bangles, and Susan Cowsill have been friends, bandmates, and session singers for over 20 years. They were both members of the Continental Drifters and have toured extensively as a duo under the name Psycho Sisters. What they have not found time to do is enter a recording studio together; until now. Twenty-Two years in the making, Up On The Chair Beatrice will be released August 5th. They took a unique approach with their new album. While they wrote or co-wrote seven of the ten tracks, none are brand new compositions. Instead they reached back into the early 1990’s for their material. This means that the release has a retro feel to many of the tracks. The songs have been honed by years of being performed live and now they form the foundation for their album. The album travels in a number of musical directions and lacks a cohesive feel, but on the other hand, it is always interesting. “Never Never Boys” is a jangling pop piece that would fit nicely onto a Bangles album. “Numb” has strings but at heart is a crunching rock song. “This Painting” and “Gone Fishin’” have are Americana style and tone, which gives them a laid back rootsy feel. “Heather Says” is a song Cowsill sang as a teenager and her voice reverts back to that time. At the heart of the album is their ability to combine their voices into wonderful harmonies. Their voices blend together so seamlessly that at times it is difficult to tell them apart. 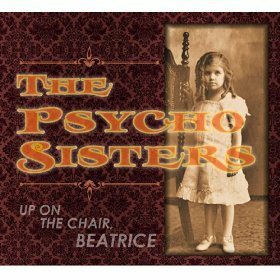 The Psycho Sisters have produced an album that should resonate with their fan base and maybe earn them some new ones as well. An interesting album from two veterans of the American pop scene. 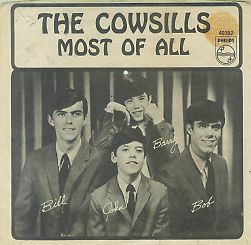 The Cowsills were a family pop/rock group from Newport, Rhode Island, that acheived their greatest commercial success during the last half the the 1960s. “Indian Lake” was similar to their other hits. Released during the late spring of 1966, it reached number ten on the BILLBOARD Chart. Barbara passed away in 1985. Susan, Bob, Paul, and John toured together during 1990. Susan remains very active in the music industry. 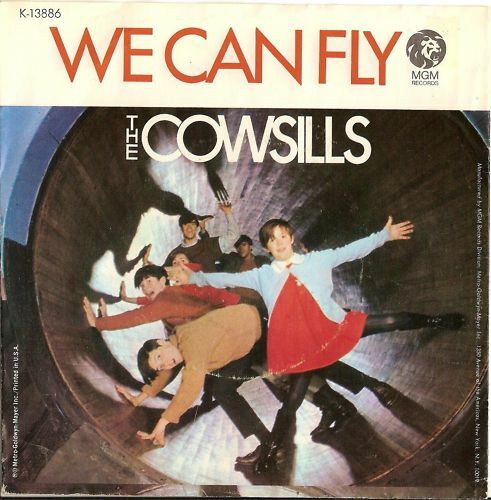 “We Can Fly” was the second chart single for The Cowsills. It followed their number two hit, “The Rain, The Park, & Other Things,” and became a hit single in its own right. It first reached the BILLBOARD MAGAZINE Pop Singles Chart during Jan. of 1968 and peaked at number 21. The Cowsills could always combine their voices into tight harmonies and this song finds them at their best. It was an up-tempo pop classic that remains a good listen over four decades later. The Hobart Brothers & Lil’ Sis Hobart may not be a super group in the usual sense of the word, but it is the coming together of three artists from different musical styles and backgrounds. Jon Dee Graham, Freedy (not Freddy) Johnston, and Susan Cowsill have combined their talents to form The Hobart Brothers with Lil’ Sis Hobart. They took the name Hobart from the dishwashers of the same name, which are found in nearly every restaurant where they performed during the early days of their solo careers. They are now about to release their debut album, As Least We Have Each Other. Their ten song album comprises seven songs from their most recent studio recording sessions, plus three from their first, drumless, demo sessions. With the purchase of the album comes a free download of the entire nine song demo session. Jon Dee Graham was a member/guitarist of the classic rock band, The Skunks, whose sound channeled such groups as The Rolling Stones and The New York Dolls. Freedy Johnston is best known as a songwriter who can paint pictures with his lyrics and surround them with catchy music. Susan Cowsill was a member of the mid to late 1960s pop group The Cowsills. Lately, her music has veered in a pop/folk direction. Sometimes when artists from different traditions come together the results can seem forced or out of sync. Graham, Johnston, and Cowsill play like they have been together for years. The lyrics tell stories about cooks, waitresses, dishwashers, truck-drivers, love, despair, and living in a car. The music ranges from catchy to gritty. Their voices blend together effortlessly into subtle and sometimes soaring harmonies. The overall sound travels in a number of directions. 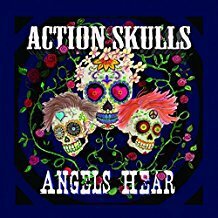 There is some catchy pop, a little swamp rock that reminds you of Creedence Clearwater, and some Americana music that is similar to The Band. The album’s first track, “Ballad Of Sis (Didn’t I Love You),” is the catchiest track as it is a pop infused up-tempo romp. There are a number of well-crafted and very listenable songs. “Why I Don’t Hunt” is an ominous sounding song right out of the Louisiana bayou. “Sweet Senorita” moves in a country direction. It is a mid-tempo piece with a lush, filled-in sound. “I Never Knew There Would Be You” and “All Things Being Equal” feature fine lead vocals, especially from Susan Cowsill whose soulful voice has become a wonderful instrument. The second half of the album contains more of a stripped down sound. In a way it reminds me of some of Levon Helm’s solo music. “First Day On The Job,” “The Dishwasher,” and “I Am Sorry” are personal stories with gritty music. At Least We Have Each Other is an enjoyable union of three talented artists who have been practicing their craft for decades. Highly recommended for anyone who appreciates good music. Article first published as Music Review: The Hobart Brothers with Lil’ Sis Hobart – At Least We Have Each Other on Blogcritics. The Cowsills are best remembered for their series of late 1960s pop hits which featured mother Barbara and young sister Susan. They began their career as a more traditional rock band with brothers Bill, Bob, Barry, and John playing a lead and rhythm guitar, bass, and drums. Spotted playing in Newport, Rhode island, they were invited to perform on THE TODAY SHOW. This led to a contract with the Mercury label and a single released on the Philips label. “Most Of All” was released during 1966 and bubbled under on the BILLBOARD MAGAZINE Pop Singles Chart when it reached number 118. It was a catchy pop song that deserved more. Philips responded by not re-newing their contract. It all ended well for The Cowsills as their next release was “The Rain, The Park, And Other Things,” which would reach number two. 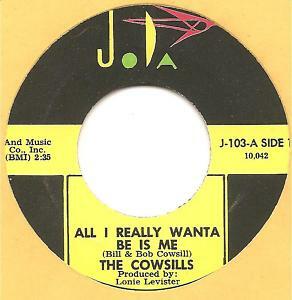 Everyone has ro start somewhere and The Cowsills started on the small Jada Label. The five Cowsill brothers, Bill, Bob, Paul, Barry, John, their sister Susan, and mother Barbara were a light pop/rock group from Newport Rhode Island who produced such catchy hits as “The Rain, The Park & Other Things,” “Indian Lake,” “We Can Fly,” and a cover of “Hair.” The Partridge Family Televison program used the family as the original idea for the show. Before their string of late sixties hits they released their first single on the old Jada label. It remains an obscure Cowsills and sixties collectable today. 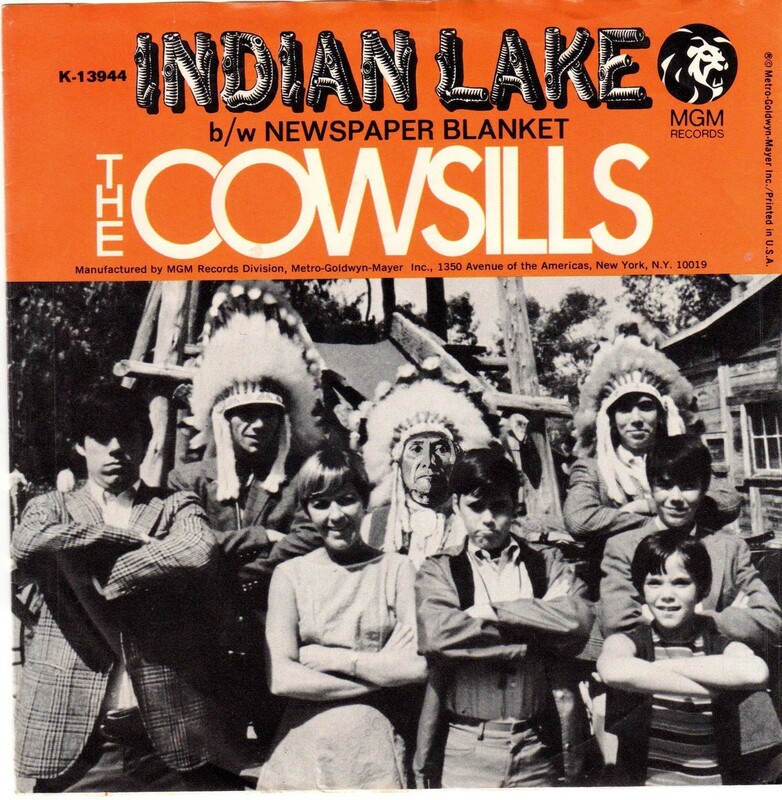 You are currently browsing the archives for the Cowsills Reviews category.